Our discussion last week with Roxanne was about taming the voices in relationships. It’s easy to think that other people should act appropriately so as to not upset us, but trying to control someone else’s behavior is futile. As all the parents reading this will surely agree! The only thing we truly have control over is ourselves. It might be more difficult to exercise at times, but our own behavior is the only thing we can control. Relationships are one of the most important parts of our lives and truly help expand us into the people we will ultimately become. Allowing ourselves to feel what we feel helps us begin to make better decisions about how to handle difficult situations. When you’re in the heat of the emotion it’s more difficult to come to a peaceful resolution or even see that one is available. Noticing how others behavior makes us feel is a great way to see “where we are”. Am I allowing my day, week or even months(years?) of my life to be ruined(affected, colored, marred) by what I think someone did to me? If the answer is yes, I have to make the decision to let it go. We must give ourselves a break from blaming and complaining and focus our energy on what we want rather than the circumstance that caused our upset. We alone decide our day to day focus and I’d be willing to bet the person that upset us isn’t giving it a second thought. We must not give up our here and now, ripe with pure potential, to lament something that is over. (And PS… even if it happened yesterday, IT’S OVER.) Make the decision to move forward and start heading that direction. Let’s all give ourselves a break which allows us to move through our initial reaction and begin to see that better things are lining up. My job as a Consciousness Coach is to help you relax into your feelings and not take things so personally (or seriously!). I help folks find the energy in the body and move it for increased clarity and calm in their lives. It’s all ok. Everything is going to work out. We are exactly where we’re supposed to be doing just what we’re supposed to be doing, otherwise we’d be somewhere else doing something else. Relax and let the perfect situation unfold. When I was a little girl my Great Grandaddy Patterson told me not to worry about falling off my horse… the ground would catch me, he said. I didn’t appreciate that advice then as I was well aware how hard the ground could be. But as an adult and knowing what I know now, I am giggling recalling his gruff manner. Life will always catch us, when we’re struggling against things that ground can be pretty hard, but when we relax and allow ourselves to flow with ease and grace, resisting nothing… we bounce. Found this information valuable? Share with your friends! As a child, every Sunday we went to Granny and Pop’s (my great-grandparents) house for dinner. Granny’s food was mouthwatering. Our Sunday dinner was almost always fried chicken and gravy. If she had prepared another vegetable that wasn’t mashed potatoes, I’d cry and she’d whip up some instant potatoes that you’d swear were better than the real thing. I also had to have fried cornbread patties, so I could pile my mashed potatoes on them. YUM. I had very specific ideas about what I wanted to eat. And as an adult that no longer gets to eat her delicious cooking, I’m glad I made a fuss. As I recall these memories of my childhood love rushes in and fills me completely. The love they put into the meals and their willingness and joy to please and make us happy is overwhelming. As much as I knew they loved me (it was A LOT), I felt it in their food. Cooking is one of my greatest joys, second only to sharing the food I’ve prepared with anyone and everyone that might possibly need or enjoy it. I smell my grandparents in my kitchen often. I’ll stop what I’m doing and take big, deep breaths inhaling it all. The food, the memories, the absolute knowledge that food IS love. My partner, Dionne and I spent 3 weeks in Italy this past summer, visiting my little sister, Johanna who’s living there for the next year. After weeks of traveling and eating delicious Italian food, I was ready to cook. It was our last few days with my sissy and we were all beginning to feel a bit of sadness in anticipation of our departure. So, what did we do? We had three days of good ol’ West Texas country cooking. I fried everything that wasn’t tied down. We laughed and talked and breathed deeply the scent of love. I felt such appreciation for my country roots and the yummy comfort food I was raised on. 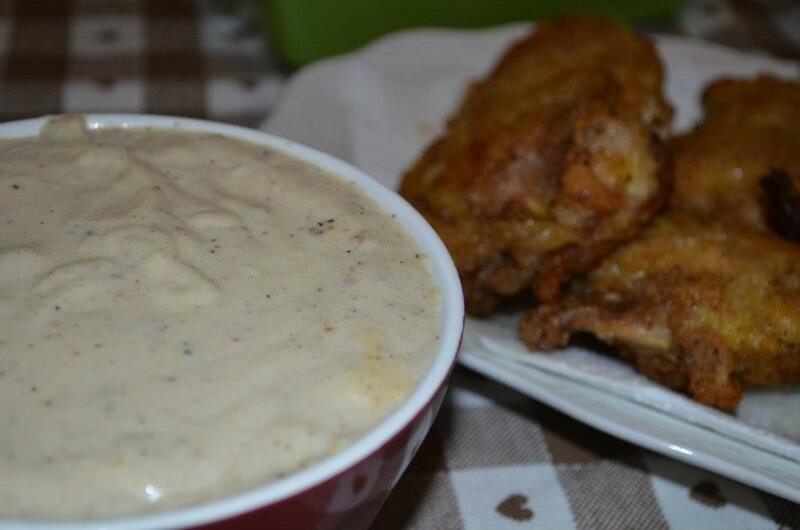 This is fried chicken and cream gravy just like Granny and Papa made for us as kids. Looking back at this picture, the hearts on the table cloth say it all. One of the most important things for us to realize and understand is this… You will always have your “initial reaction” to every situation, thought or circumstance you encounter. But then, after a few breaths and a moment of soothing myself, I suddenly realize maybe it’s not so bad after all. If “this” happens then “that” would become unnecessary or actually easy. Or if I did “that” at another time it would free me up to do “whatever.” You get my point. It’s not a big deal. There are always 1000 other perspectives than the one you are currently viewing your life through. I tell people in my sessions all the time, “One of two things are going to happen. The situation will completely resolve, or you will feel completely different.” And either way, this is what you want, no? You want things to be different, or you want to feel good about what currently “is”. If you need help finding a better perspective, get it. This is your life. Enjoy it! Roxanne and I are back tomorrow, Friday January 18th, at 1:30 CST for another free webcast! This Friday’s free webcast continues our discussion of small self, large self from last week. Here is a link in case you missed seeing it! Our next conversation will highlight the power you have from discerning your first reaction from your second reaction. Allow your life to be easy! Check your time zone here. In real time or later – it’s being recorded. You may have to refresh the page to see the live webcast. Comment on Google+. On Rox’s page, you will see the live Hangout on Air message. You can also watch from there. 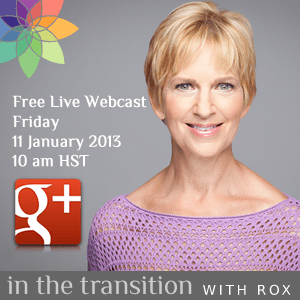 Comment on Facebook on Rox’s page for In The Transition or on my Be Soothed and Uplifted page. Can’t be there in real time? No problem! It will be recorded and you can watch it later. Last week was hugely successful – we have had over 300 views so far! Many thanks to my colleague Crystal Nuding who joined my in Part 2. In Part 1, I had some technical difficulties that are now resolved. You can also leave a comment or question below on this blog. I am looking forward to the enlightening conversation! We would love for you to join us. After a hiccup in the beginning, Roxanne and I got connected. Join my friend Roxanne Darling and I tomorrow, January 11th at 2pm CST (11am HST) for a Free Live Webcast discussing consciousness. Find the link for Roxanne’s YouTube channel below and tune in to watch and or participate in our discussion. Please join me this Friday for a free, live webcast to talk about taming those voices we all have in our heads! It is one of the fastest ways to make things happen in your life that you actually want. One of the things I am in the midst of this year is writing a book. I am trying out a lot of my ideas here on the blog. I am also creating live conversations so I can engage with you on a regular basis. I am one of those people who actually gets new ideas by interacting with others. Of course I also learn more about my ideas by seeing how easily (or not!) they land in other people’s hearts and minds. My inaugural chat is this Friday, January 11th, at 10 am HST. You can check your time zone here. I will be hosting it in a “Google Hangout” on the Google + network and live-streaming it to my YouTube channel. This will be a learning experience for all of us, so I thank you in advance for your patience and curiosity. I will be sending a reminder to everyone on my email list with the links shortly before we begin. Please join the email list if you want to receive the notification or want to add a question or comment. Meanwhile, if you use G+, please circle me there! Otherwise look for our free live webcast this Friday here on my YouTube page. I have invited a friend to join me – Crystal Nuding. I met Crystal four years ago. We both received access to divine downloads as I call them and we are both creating our own personal iteration of that in the world. I think you will love experiencing Crystal’s clarity, positivity, and strength! 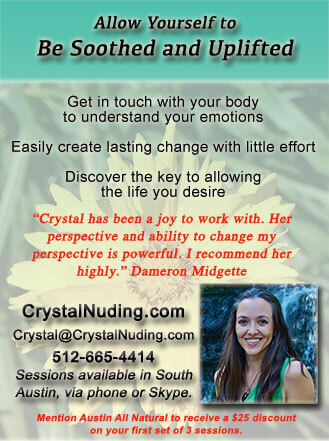 Crystal Nuding is a natural born empath, soother, uplifter and healer whose gift is the ability to help you live a happier and more joyful life. Through phone, Skype, or live sessions in South Austin, she can help you can find and move old stagnant energy that keeps you stuck. Learn more at CrystalNuding.com. Connect with Crystal on Google+ too. What changes are you wanting to make in your life this year? Tell me what steps you’re taking (or planning to take) to make these things happen. 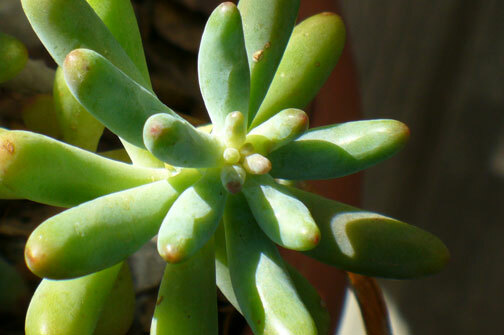 Read the following article and begin to see how you can make those changes more easily! Here’s to our best year yet! I dreamt once I was in a big room filled floor to ceiling with stacks and stacks of dollar bills. People were filing in one after the other, and exchanging larger bills for smaller ones. All night, I made change. The next morning I felt exhilarated. It felt like money and abundance, yes, but even more important, it was change. The changing of big bills into small ones was an important key point. I wanted change – at the time, the change I wanted was BIG. Little bit of effort – big, big change. The way life works now is a big change. But the way to get there wasn’t by taking huge steps or resolving to make drastic sweeping changes. The effort that brought the biggest changes was actually quite small. See where you’re sabotaging your desires by arguing for limitation – in your head, and by telling a story of your life that isn’t pleasing and certainly not what you want. The key to stopping the cycle is to move the driving energy. Find the feeling, let it move, physically. Like fight or flight response – dilated pupils, clammy skin, pumping heart – relax, breathe, and the feeling will pass. Instead of making a long list of New Year resolutions, make only one. To affect the greatest change, resolve to do the smallest, easiest thing each day to get you closer to where you want to be. Move the energy that says it won’t work, that you can’t do it. Give yourself a break from all the hard work and let it be easy. Crystal Nuding is a natural born empath, soother, uplifter and healer whose gift is the ability to help you live more joyfully and happily. 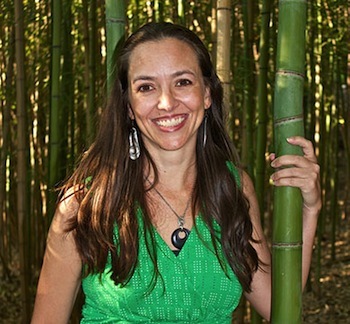 Through phone, Skype, or live sessions in South Austin, you can find and move old stagnant energy that keeps you stuck. Mention Austin All Natural and receive a $25 discount on an initial series of three sessions, for continuity and support. Lend your support. Thank You! Join My Newsletter, Receive eBook & Bonus Audio Free! Click the cover to sign up! © Crystal Nuding, 2014. Unauthorized use and/or duplication of this material without express and written permission from this blog’s author and owner is strictly prohibited. Excerpts and links may be used, provided that full and clear credit is given to Crystal Nuding with appropriate and specific direction to the original content. Tips for an easier, happier life! Receive a free copy of my eBook, 4 Tips for a Happy Life, when you sign up for my newsletter! If this site is a source of soothing and uplifting for you feel free to appreciate me monetarily. Thanks in advance!